Making tempeh. 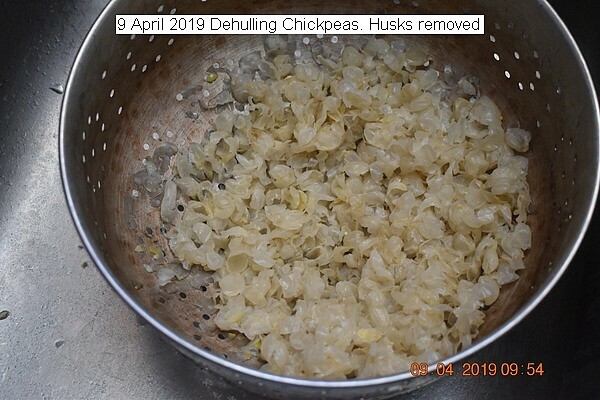 husks are removed from the chickpeas. Procedure is to boil the chickpeas for one hour. Remove and cool with cold water. Rub the chickpeas together and float off the husks. Do this five times and the chickpeas will be completely husk free. Then cook the chickpeas for about two hours at a gentle boil to soften for tempeh making. 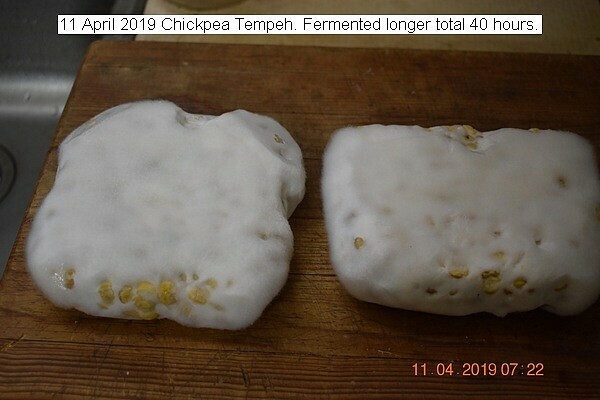 Making Chickpea tempeh from dehulled chickpeas. 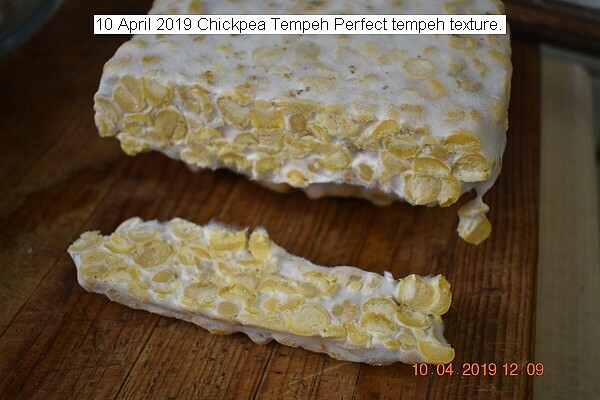 Tempeh was made from the dehulled chickpeas. The beans were further gently boiled for one hour, cooled and a tablespoon of vinegar and tempeh starter mixed. The chickpeas were placed in cotton covered molds and placed in the fermenter for 24 hours. The mycelium permeated the beans and made a perfect tempeh. Pictures depict the method. The blocks were fermented 20 more hours at room temperature. Notice how the mycelium covered the whole area. The first 24 hours were at 31C in the fermenter. The last 20 hours were at room temperature 20C. The blocks were then wrappd in plastic and placed in the refrigerator to stop fermenting.